Welcome to Cotton Mill, an Online Cotton Clothing Store. We only carry the highest quality cotton clothes, all of them made in the USA or Canada. Our clothes are 100% Cotton, some are 100% Organic Cotton, and we have clearly noted those few items that are a cotton blend. 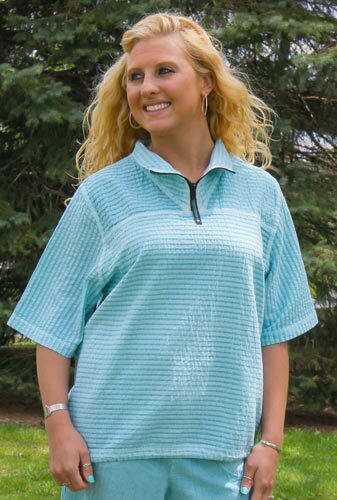 Be assured you are getting the highest quality cotton clothes, since they are all made in USA or Canada. There is nothing like the feel of American made cotton clothes. Great to travel in, fantastic to relax in. 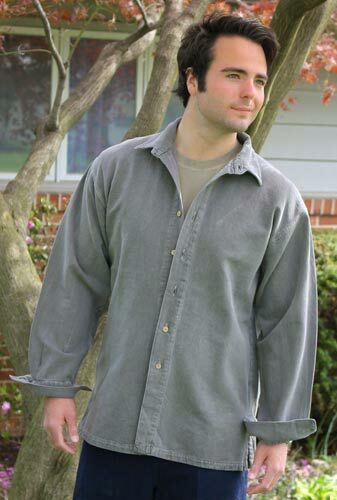 When you wear a Cotton Mill shirt, jacket or pants, you know you're getting the best that cotton clothing offers. Norma, the Queen of Cotton! The great comfort of our 100% Cotton clothing and their ease of care makes them great for travel and living. Styles you can live in and colors that compliment you, combine to create clothes you Love to Wear! Nothing will wear and last as well as real cotton, and they are all made here in North America. Thank you for shopping with us today. If you have any special needs or clothing questions, please email or call us. We are here to serve you for your cotton clothing needs. If something is out of stock, contact us for an estimate of when we expect the clothing item to arrive. We hope you have a great shopping experience here at CottonMill.